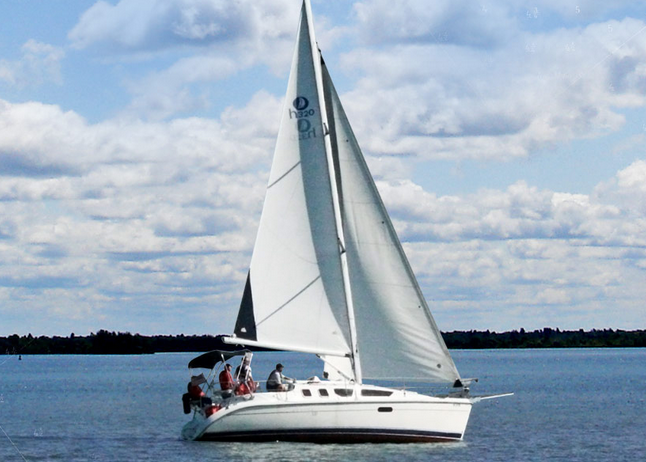 Kids from ages 8 to 17 learn to sail with Premier Sailing School at Two Rivers Yacht Club in Governors Land. 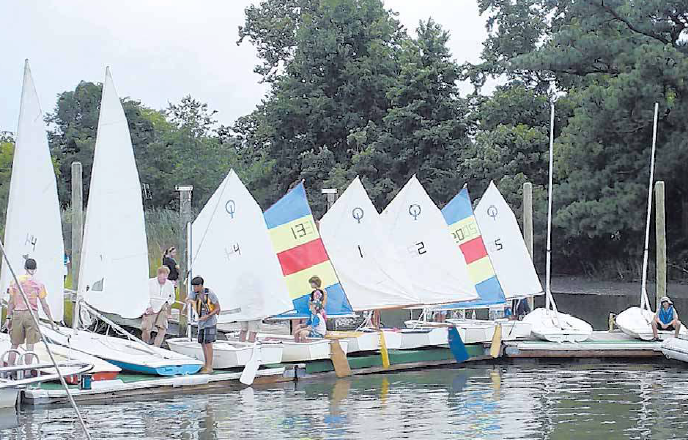 Using Optimists (small kid-size prams) and 420’s (college racing sailboats), kids learn over a five-day course to build up their skills and work their way up through five levels. This year the school is also offering safe power boating courses for adults and for children over 12. The course covers all the state-required learning. Half of the course takes place out on the water, driving boats and learning lots of boat handling skills. On completion of the course students get their U.S. Power boating Safe Powerboat Handling certificate and also their Lifetime Virginia Boaters Education cards. Young people and children take naturally to sailing. We are specialists in teaching children to sail. Our sailing program for children was developed , by us, from the Royal Yachting Association Young Sailors Program which breaks down the learning process into many stages so that each child can learn at his or her own pace. Courses run Monday to Friday, 9.30 to 3.30. We have been using this program for years and have successfully taught hundreds of young people from age 6 upwards (age 8 at Williamsburg location) to sail with confidence and have fun! We use Optimists, Sunfish, Lasers , and believe in having each child sailing their own boat from the first day. You should be Sailing ! By the end of the week, they will have enough confidence and enough skill to make a boat go anywhere they want. We take great care to treat each child as an individual and never to frighten them by asking them to do something before they are ready. Children can move up through the stages of the program from one year to the next, and for the more advanced young sailors we run Race Training and Team Racing courses. We organize lots of different sailing activities for children including 5 day sailing camps, race training camps, and afternoon sailing birthday parties. Children can take shorter courses of 2,3 or 4 days if lack of time is an issue, and costs can be calculated per day. We have been running the sailing program at Two Rivers Yacht Club in Governors Land in Williamsburg since 2001. This program is made open to the public in an ongoing effort by Two Rivers Yacht Club to introduce sailing to more and more young people. The fleet here is comprised of Optimists (the international children’s boat, suitable for kids from age 8 to age 12) , 420’s (two man performance dinghy with spinnaker, suitable for teenagers) , Sunfish (suitable for teenagers) . We sail from the beach here – the river is very shallow which makes it very easy to launch and to return to the beach. 2013 Prices – Don’t forget to take Early Bird discount if you pay in full before 17th March! About us and our instructors. Premier Sailing was founded by Irish sailors Phil and Arabella Denvir. Both are steeped in sailing tradition, starting from the long tradition of sailing in Ireland. Both are keen racers, having raced small boats and big. They are classic wooden boat enthusiasts, having owned and restored boats like the famous Merle of Malham, and the 1900 classic cutter “Rowena, which they have cruised in Ireland and in the southwest of England. Arabella races on the women’s match racing circuit and is currently ranked in the ISAF World ranking list. The Denvirs moved to Malta in 1993 and founded Malta Sailing School, which ran the Royal Yachting Association Certification program for adults and for children. They are also well known for having founded the Malta Young Sailors Club, which is a thriving Optimist and Laser racing club for young sailors. In 1998 they moved to the USA to establish Premier Sailing at The Tides Inn in Irvington. With great regret we have to say that Philip Denvir passed away in July 2011. He is deeply missed by all of us, instructors, staff and customers alike. followed by a lunch prepared and hosted by club members.